As much as we are still somewhat skeptical, the more Marvel and Netflix put out about the upcoming Daredevil series, the more we’re being convinced it could be damn good. Case in point this week is a brand new trailer for the series featuring the blind lawyer turned vigilante Matt Murdock (aka Daredevil). 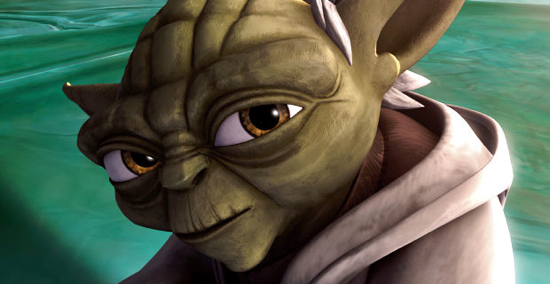 In it we get a lot of info about one of the most important characters in any story: the bad guy. 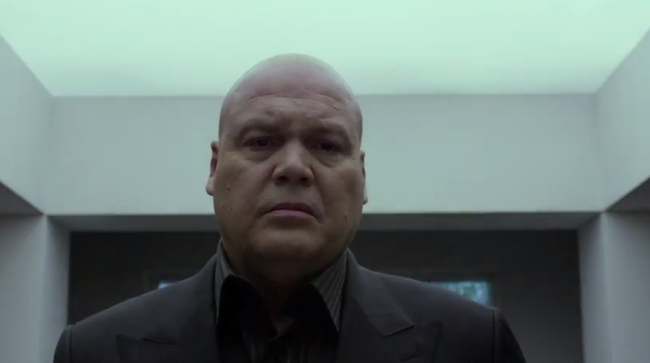 Well, at least one of them anyway … Vincent D’Onofrio’s Kingpin. We also get some more insight into what makes Matt Murdock tick and what his plans for the city are. Of course, Kingpin may have other ideas. Other very violent ideas. Daredevil, which stars Charlie Cox as Matt Murdock, Rosario Dawson as Claire Temple and D’Onofrio, premieres on Netflix on April 10. Check out the trailer after the break. This week’s Christmas pick is the 1987 buddy cop classic Lethal Weapon. The film stars Mel Gibson, Danny Glover, and Gary Busey. Being the first film in the successful movie franchise, Lethal Weapon is not just a classic action film, but it’s also a Christmas film as well. The film centers around two L.A.P.D. detectives who are reluctantly partnered together in order to solve a murder that was disguised as a suicide. Roger Murtaugh (Glover) is an aging officer who has just celebrated his fiftieth birthday and is looking forward to an early retirement. Martin Riggs (Gibson) is a burnt out, borderline psychotic officer who is grieving over the recent death of his wife. After an undercover drug bust in which Riggs’ life was in jeopardy, Riggs’ superiors have him transferred to homicide where he is partnered with Murtaugh who is aware of Riggs’ illustrious reputation. Both men see this new partnership as an inconvenience and are less than thrilled to work with one another. George Romero’s second chapter in his Living Dead series, Dawn of the Dead (1978), picks up after the events of Night of the Living Dead (1968). 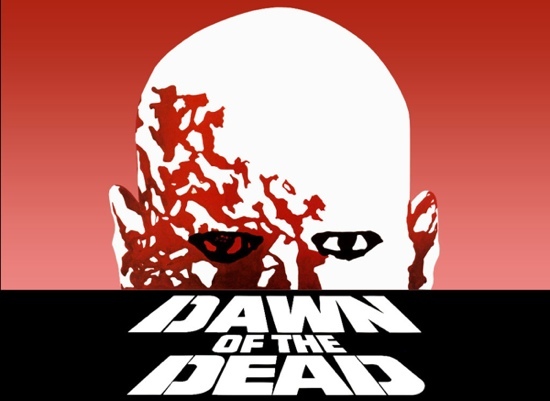 Dawn of the Dead is a fantastic, gory and at times satirical look at America and especially at American consumerism. Despite it gruesome effects, many consider Dawn to be of the greatest horror films ever made and it still continues to hold records for its popularity in pop culture and rankings among film critics. Set not too far after the events of Night of the Living Dead, Dawn opens where the United States (and possibly the entire world) has succumb to a phenomenon which has caused the bodies of the recently dead to return to life and to pray on the flesh of the living. This week’s Monday Pick is the 1984 multi genre classic The Adventures of Buckaroo Banzai Across the 8th Dimension. Director/screenwriter W.D. Richter (Dracula (1979), Invasion of the Body Snatchers (1978), Big Trouble in Little China) created one of the weirdest and most beloved cult classics of the 1980s. Peter Weller (Robocop) stars as the multi talented neurosurgeon, physicist, rock musician and comic book hero Buckaroo Banzai who battles aliens know as Red Lectroids from the Planet 10 who plot to take over the Earth. Buckaroo Banzai’s character was influenced by the 1930s pulp novels of Doc Savage, much like Lucas and Spielberg’s Indiana Jones that was influenced after the literary adventure character of Allan Quatermain. Buckaroo Banzai has always been a favorite of mine since I first saw it in theaters in the summer of 1984. It’s a very interesting/hard film to describe to anyone who has never scene it. The premise is beyond absurd but that’s what makes the film so lovable. Banzai and his team of do-gooders known as The Hong Kong Cavaliers (a version of Doc Savage’s Fabulous Five) battle the evil Red Lectroids under the command of Lord John Whorfin (yes an alien leader named John) played to psychotic perfection by John Lithgow, who is actually an Italian physicist known as Dr. Emilio Lizardo. Yeah, it’s a little confusing but when you watch the film it all comes together. 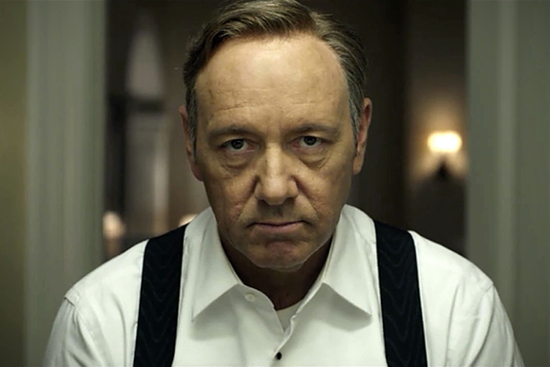 Netflix has had a rather rough year, and today’s news only adds a bit more salt into some open wounds. 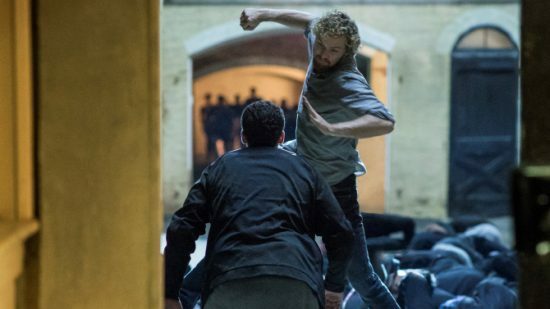 Just days after their exclusivity deal with up and coming premium movie channel Epix expires, one of their biggest competitors has signed on, greatly enhancing their instant library. The arrangement more than doubles Amazon Prime Instant Video’s offerings, and knocks some of the wind out of its chief competitor: Netflix. The streaming video company’s shares were down about 10% shortly after the market opened this morning… “We think customers will really enjoy watching new titles like The Avengers, Iron Man 2 and The Hunger Games on their Kindle Fire, PlayStation 3, Xbox, iPad or any of the other of the Amazon Instant Video compatible devices,” says Amazon VP Bill Carr. While it doesn’t appear that Netflix will be losing any of this content, it is certainly a blow to see Amazon now offer more and more first run, popular content on their streaming service. It is also said that now that Epix is free from the exclusivity contracts it had with Netflix it is looking at other services to partner with as well. A move that is a boon to the public, but just another body blow to the company that changed how we digest film. This week’s pick is the 1979 Roger Corman cult classic Rock ‘N’ Roll High School which features the legendary NYC punk rock band The Ramones in their first ever feature film. Corman alumni Allan Arkush who began his career with Roger Corman’s New World Pictures in the mid 1970s directed the film. Corman’s company helped launch numerous careers for many directors like Joe Dante, Martin Scorsese, Francis Ford Coppola, Peter Bogdanovitch, Jonathan Demme, Ron Howard and the Zucker brothers. P.J. Soles stars as Riff Randall, a rebellious teenager who challenges the authority of Vince Lombardi High School’s newest principle, Evelyn Togar (Mary Woronov) who rules over the school with an overwhelming hatred of rock ‘n’ roll music and will stop at nothing to keep it from disrupting the students. When Riff learns that The Ramones are coming to town to play a concert, she plans to get backstage and deliver to Joey Ramone a song she wrote titled “Rock ‘N’ Roll High School”. Soon after learning that many of the school’s students will be attending the concert, principal Togar confiscates Riff and her best friend Kate’s tickets thwarting any attempt Riff has at getting her song to The Ramones. At the same time, High school jock Tom Roberts (played by tennis player turned actor Vince Van Patten) hires the school’s business guru Eaglebauer (Clint Howard) to be his dating consultant in an attempt to get a date with Riff Randall. Jaws (1975) is the first summer blockbuster and is considered by critics and fans alike as one of the greatest films ever made. After success with the TV thriller Duel (1972) and his first theatrical release of The Sugarland Express (1974), director Steven Spielberg set out to adapt Peter Benchley’s novel about a Great White shark which terrorizes a small New England beach community. The screenplay was co-written by Benchley, actor-writer Carl Gottlieb (M*A*S*H*), and an un-credited John Milius who helped with some of the film’s most memorable dialogue like “You’re gonna need a bigger boat” and the legendary U.S.S. Indianapolis speech. The film opens with one of the greatest sequences ever shot. A young woman leaves a bonfire beach gathering to go skinny-dipping in the ocean while being chased by an inebriated young man. The young man ends up passing out in the surf while the woman swims out to the middle of the channel. An underwater low angle shot represents the point of view of the shark as it begins to stalk its prey. John William’s haunting score builds as the young woman is thrashed around and is pulled under by the shark. This scene did to ocean night swimming, what Psycho (1960) did for women’s showering.